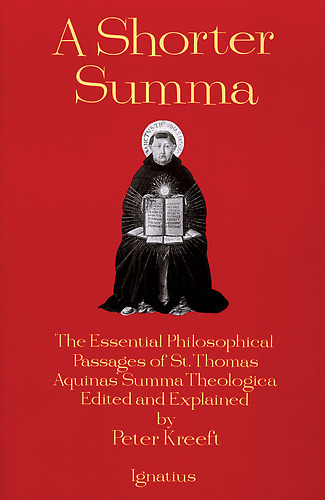 This entry was posted in Aquinas, Catholic, Charles Sanders Peirce, Christianity, Hans Urs von Balthasar, Heidegger, Henri de Lubac, Kierkegaard, Pascal, Peter Kreeft, Philosophy, Top 10 and tagged Catholic, Hans Urs von Balthasar, Heidegger, Henri de Lubac, Jean-Paul Sartre, Karl Barth, Kierkegaard, Pascal, Peirce, Peter Kreeft, philosophy, Thomas Aquinas, Top 10 by cosmostheinlost. Bookmark the permalink. 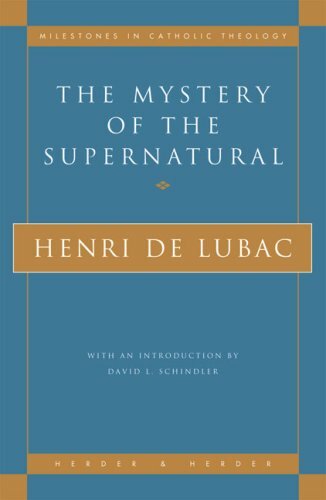 To be contentious, if you have to include a de Lubac book, his best, that actually deals more with philosophy, is The Drama of Atheist Humanism: (http://www.amazon.com/Drama-Atheist-Humanism-Henri-Lubac/dp/089870443X/ref=sr_1_1?ie=UTF8&qid=1377185045&sr=8-1&keywords=de+lubac+drama+of+atheist+humanism). This is the best version of his argument, and the one that is easiest to grasp. I say this trying to be as fair as possible, because I think The Mystery of the Supernatural is a terrible book for multiple reasons (I think its just a flat incorrect reading of the Nature/Grace debate, an incoherent re-reading of Thomas, and nearly approaches libel when dealing with the substantive points about nature/grace brought up by Garrigou–I mean, show some charity, even if you don’t like the guy! ), but Drama, even if you ultimately agree with it or not, is easy to follow, is compelling, and leaves de Lubac’s points in the best light to consider them. And again, it is much more “philosophical” than Surnatural. I won’t even comment on Barth (taking a class about him from Duke is what made me finally decided I had to be Catholic, because I could not take him seriously) or von Balthasar (okay, I sort of did), as I will readily admit few people will like what I have to say about them. But if you want a contemporary philosopher who has obviously changed the game in the field, even with people who hate him and write against him, it has to be Alasdair MacIntyre. 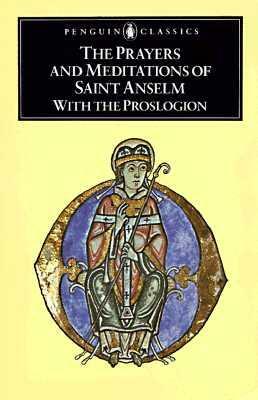 I know he is an Aristotelian, but his philosophy of contending traditions, rational justification, etc. definitely changed the way people argue about philosophical traditions, and is not simply a re-hash of traditional concepts. If you wanted to keep the “New Theology”-esque flavor, I would have to go with Gilson’s “The Unity of Philosophical Experience” (http://www.amazon.com/s/ref=nb_sb_ss_i_0_17?url=search-alias%3Daps&field-keywords=the%20unity%20of%20philosophical%20experience&sprefix=the+unity+of+phil%2Caps%2C270&rh=i%3Aaps%2Ck%3Athe%20unity%20of%20philosophical%20experience&ajr=2) if you wanted to bring up the “back to the historical resources” movement in philosophy. Finally, my own personal pick (and if this list was made by James Schall, I know he would include it) would be Josef Pieper’s “Leisure: the Basis of Culture” (http://www.amazon.com/Leisure-Basis-Culture-Josef-Pieper/dp/1586172565/ref=sr_1_1?ie=UTF8&qid=1377185641&sr=8-1&keywords=leisure+the+basis+of+culture), but I am an old fogey at heart I suppose! 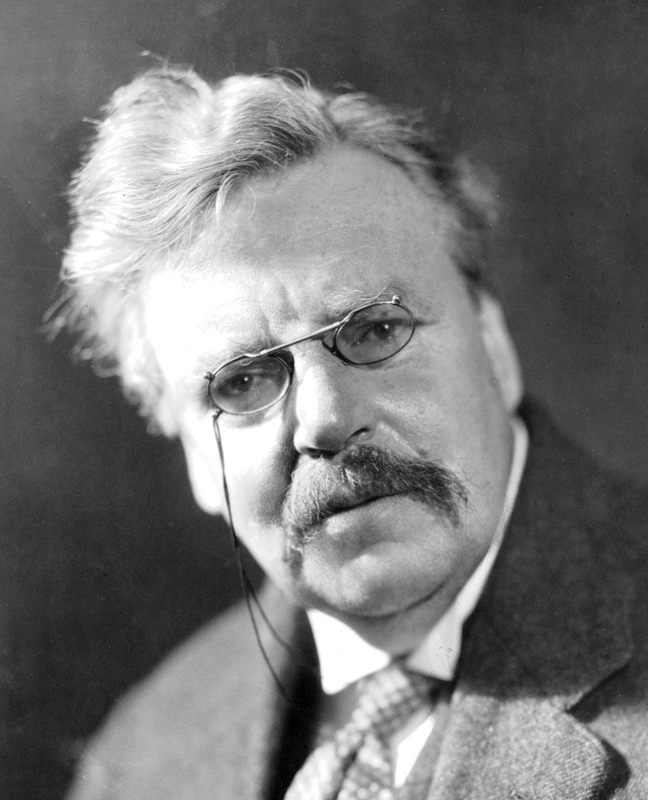 The choices of Lewis and Chesterton meant that I could choose mostly theological books. But you’re right, Drama is a fine book, although a bit in the history of philosophy, rather than advancing a new argument. Pieper is great, but he’s a popularizer like Kreeft and the people he listed in his contemporary philosophers. You don’t think “Leisure” is its own substantive argument? I guess, but there are others. 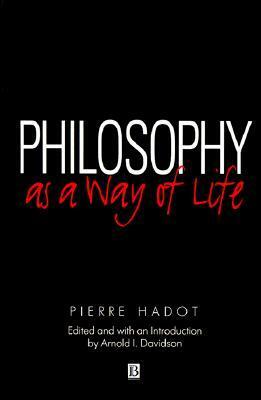 I don’t want to downplay it, but from the present vantage point it’s not recognized as a major philosophical treatise. Time might change that. I would only say that from the present vantage point of Anglo-philosophy, there would not only be an absence of Heidegger or Marcel, but there would be no continental philosophy at all, and the analytical octopus (as Dr. Hittinger calls it) would be much more represented than you or Kreeft’s lists! And we’d all be doing NYT crossword puzzles? Amen. But given the way the world is, you still should be drinking. Another vote for Drama— because, it provides invaluable orientation to an array of modern philosophy that permeates modern life. And Kreeft’s goal is philosophy for living not philosophy in itself, which is why Chesterton and Lewis figure so prominently. Meh, Marcel and Heidegger are much more solid guides for living. And what kind of life would a person reading Mill, Hume, and Ayers have? And how did Bertrand Russell make the list?! Finally, Marx as a guide for living? Not even the Communists took him seriously!